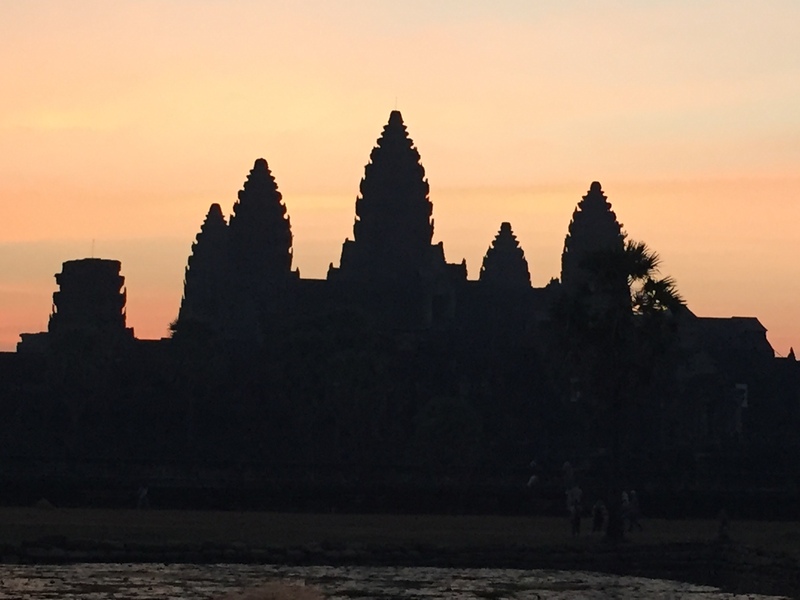 For the third stop of our two week visit to Southeast Asia, we traveled to Cambodia. This was a quick 2 night stop with the main purpose of visiting Angkor Wat. 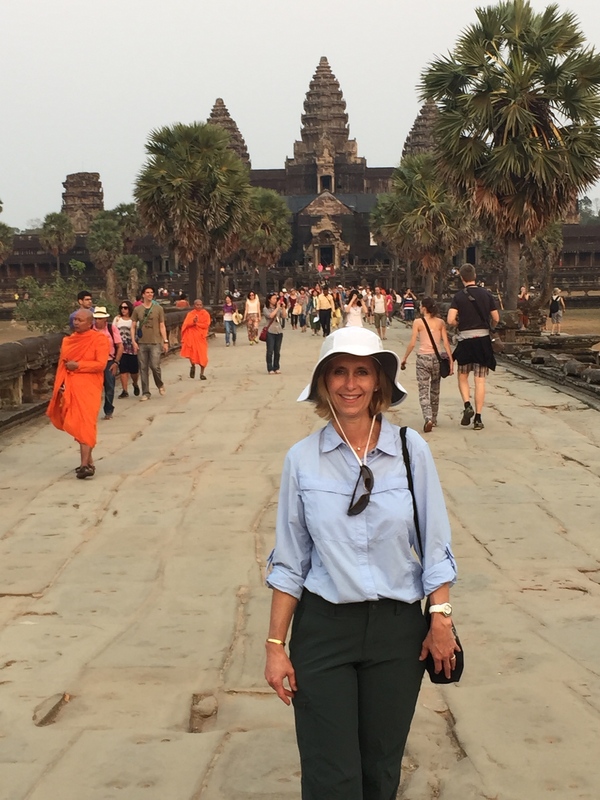 Angkor Wat is a UNESCO World Heritage Site and a tourist destination for more than 500,000 foreign visitors each year. 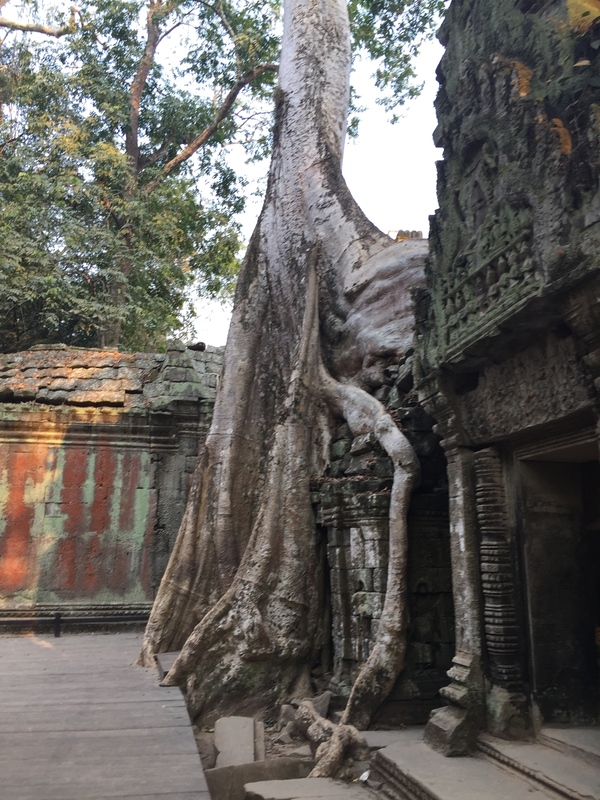 Angkor is the largest religious site in the world. 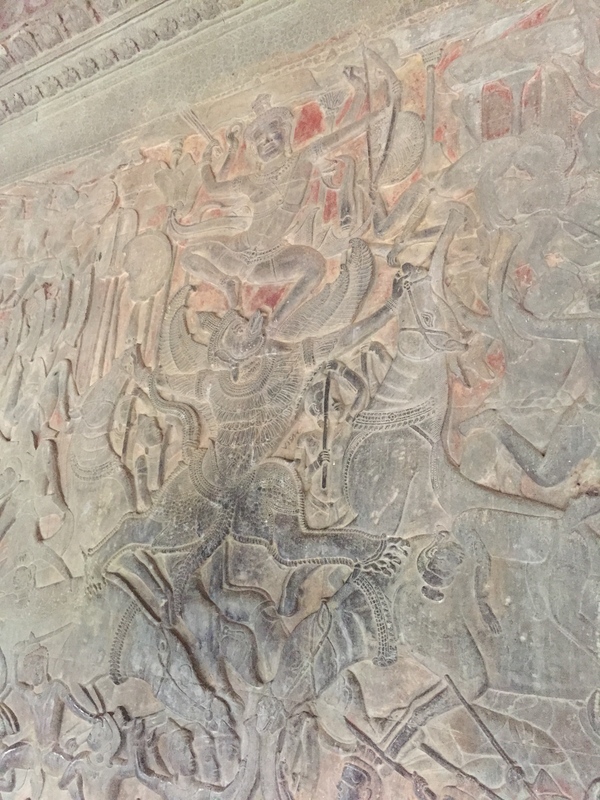 It was built for King Suryavarman II in the early twelfth century. It was first used as a Hindu temple and then a Buddhist temple. It is a Buddhist site today. 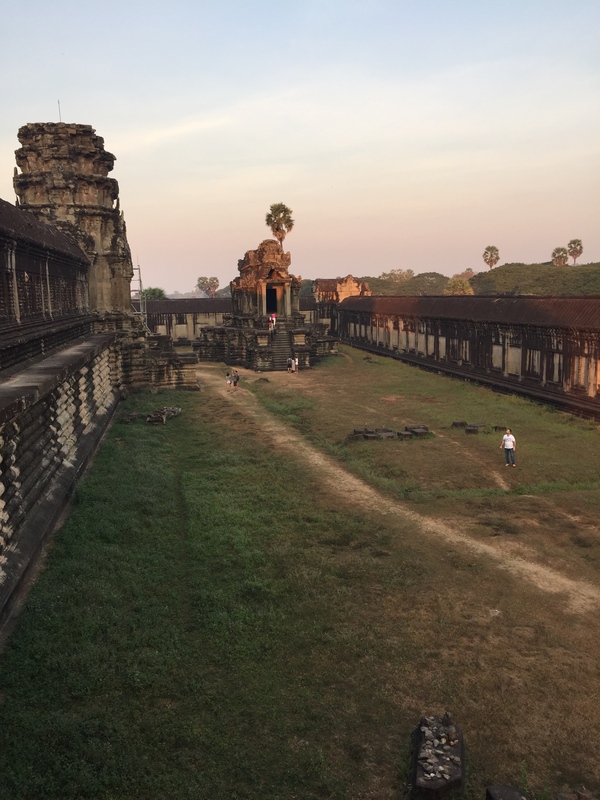 We left our hotel, the very lovely Raffles Hotel, at 5:00 am to beat the crowds and to see the sunrise over Angkor Wat. 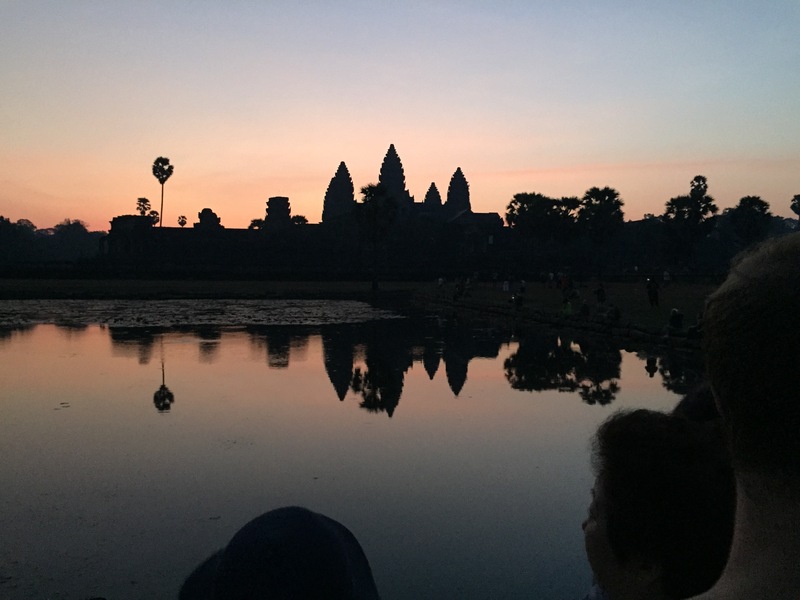 Not sure that we actually beat the crowds, but we did get the very beautiful sunrise view and the reflection of Angkor in the reflecting pool. 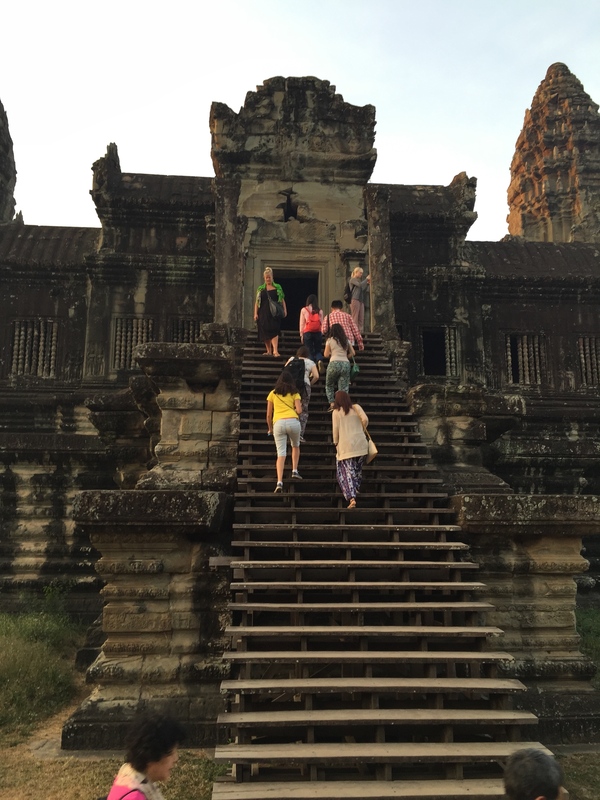 We visited Angkor Wat and Angkor Thom from 5:00 am until about 11:00 am. Our guide then brought us back to our hotel where we had lunch and swam in the pool. It was a very nice break. After a few hours, we were refreshed and ready to go back out for round number two. 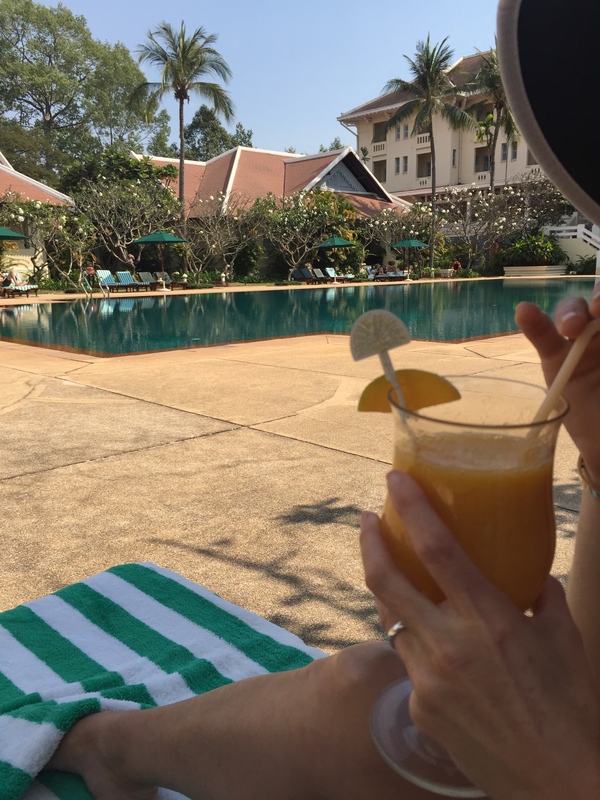 The Raffles pool and a delicious drink of mango and lime juice. 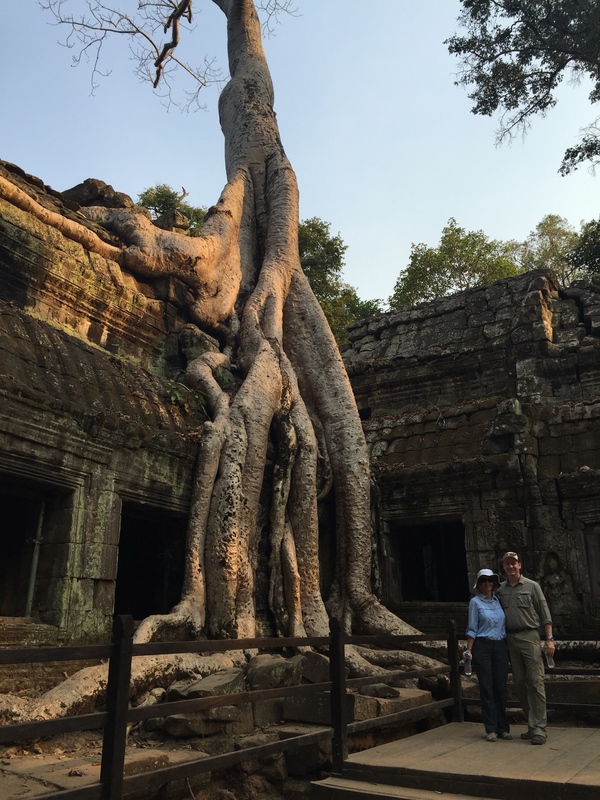 During the second half of our day, we visited Ta Phrom and a few other ruins. 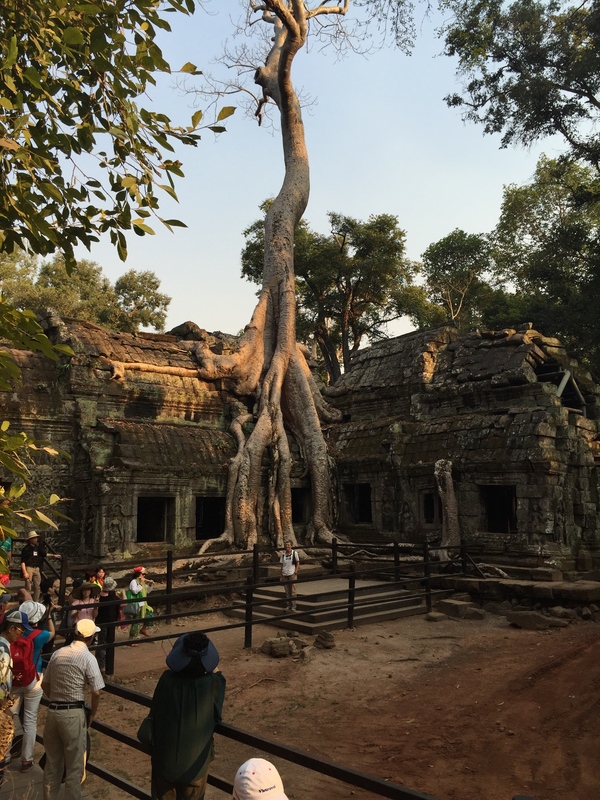 Ta Phrom was once a royal monastery built by Jayavarman VII in honor of his mother. 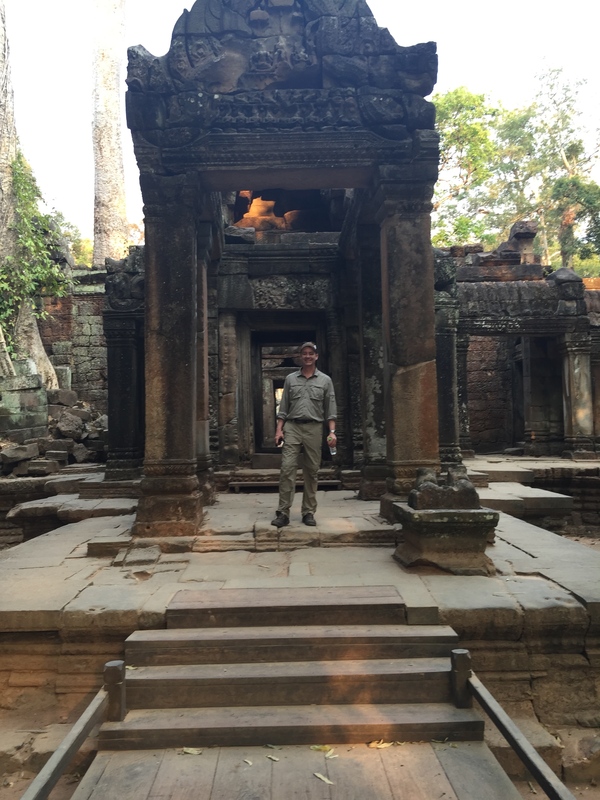 Today, the site looks like a movie set and was actually the setting for the 2001 film Tomb Raider. 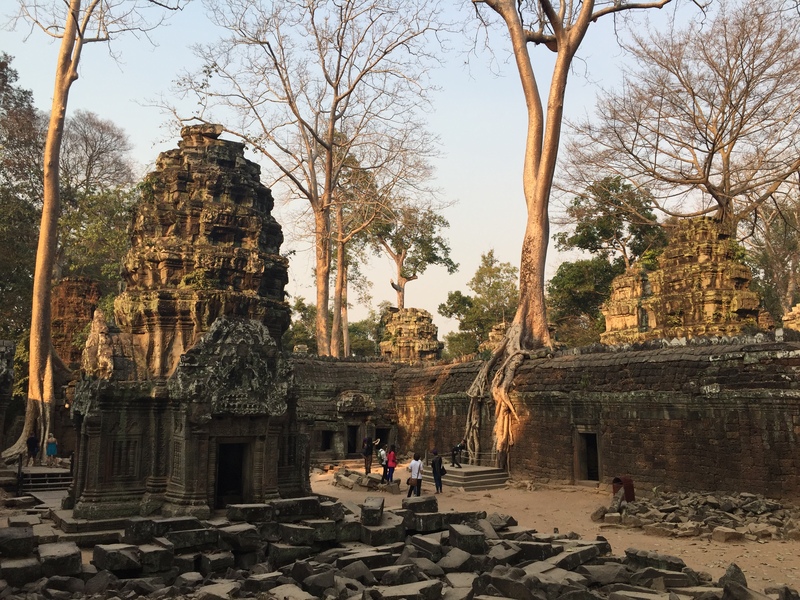 All of these temples or wats are located just outside of the town of Siem Reap. Siem Reap reminds me of a Cambodian version of Anaheim, California. It is clearly a tourist destination. 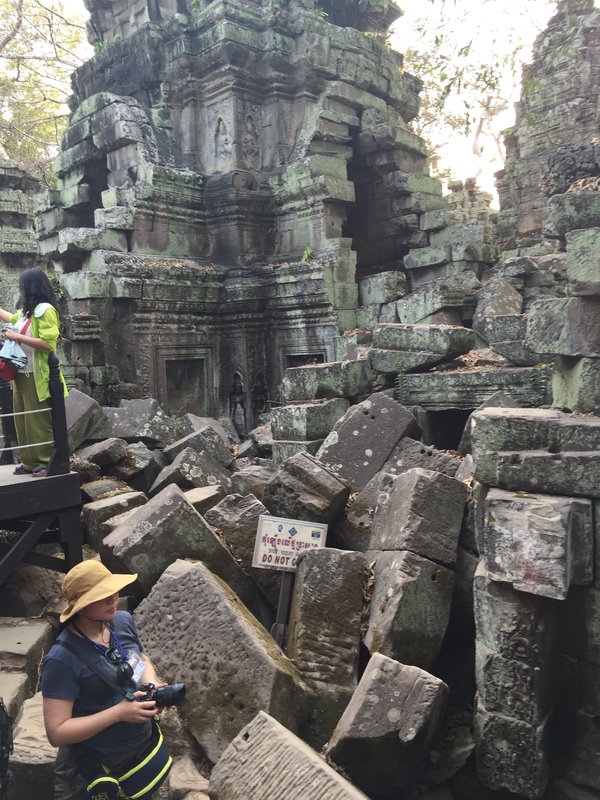 Tourists come by the thousands to see Angkor Wat and the surrounding ruins. The streets are lined with one large hotel after another, many of them very nice 5 star hotels. As I mentioned, we stayed at the Raffles Hotel. The Raffles is an historic French hotel that opened in 1929. 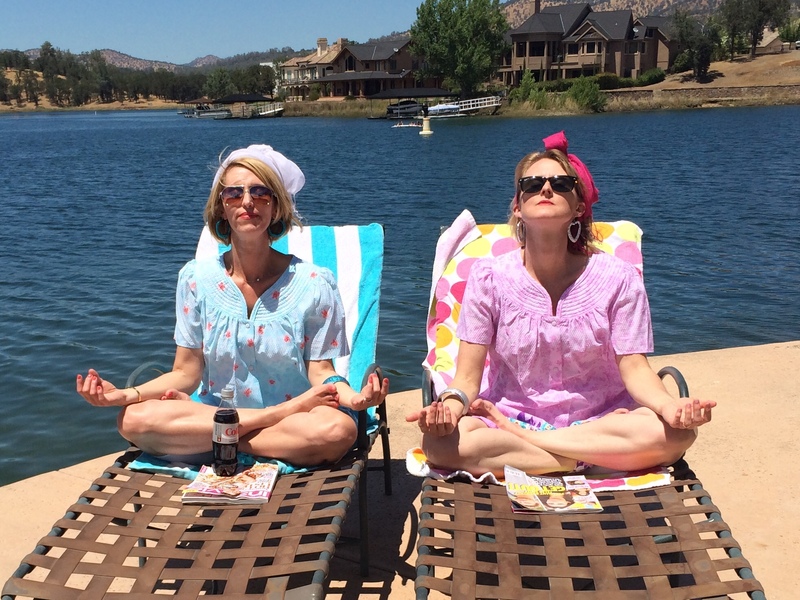 We were very happy with the location. We were right across the street from the Royal Gardens and one of the King’s homes. The king was in town while we were there for a UN conference on tourism. 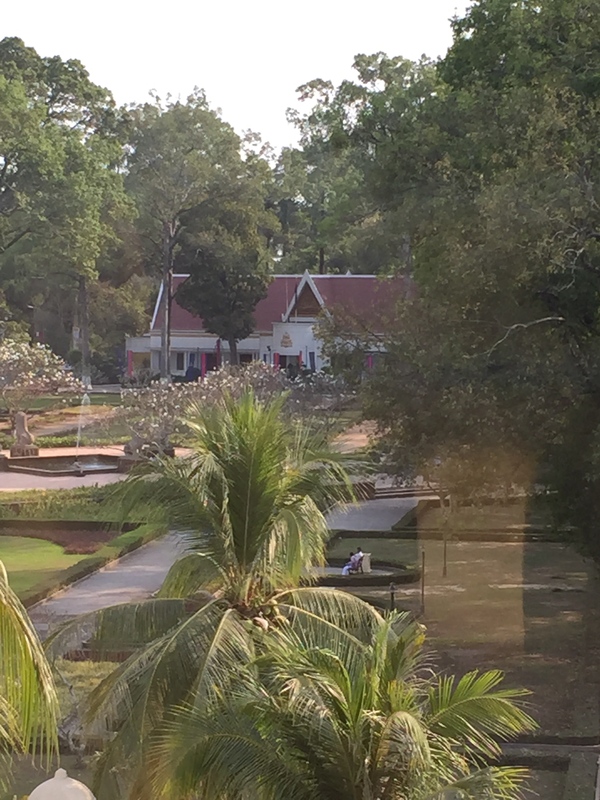 Our hotel room looked right out at the king’s home. 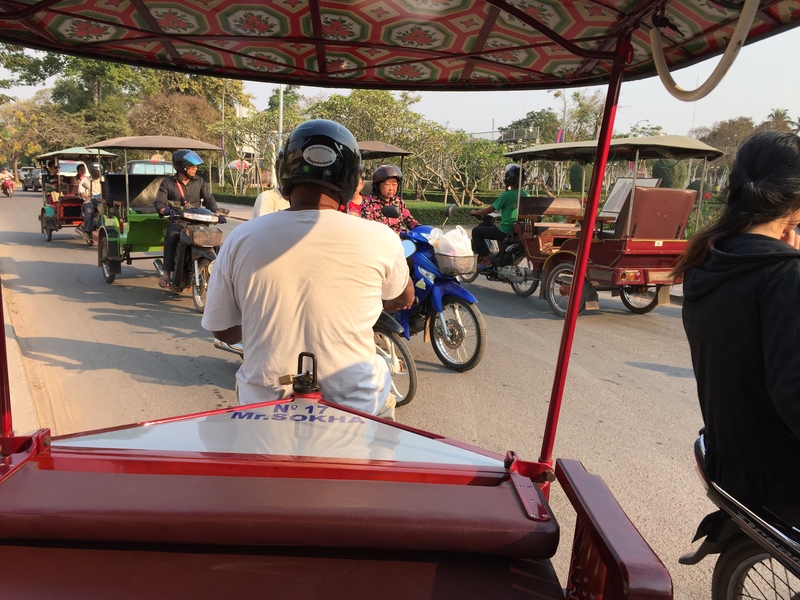 During our free time we took a Tuk-Tuk into town and visited the market place. Lot’s of fun things to look at. 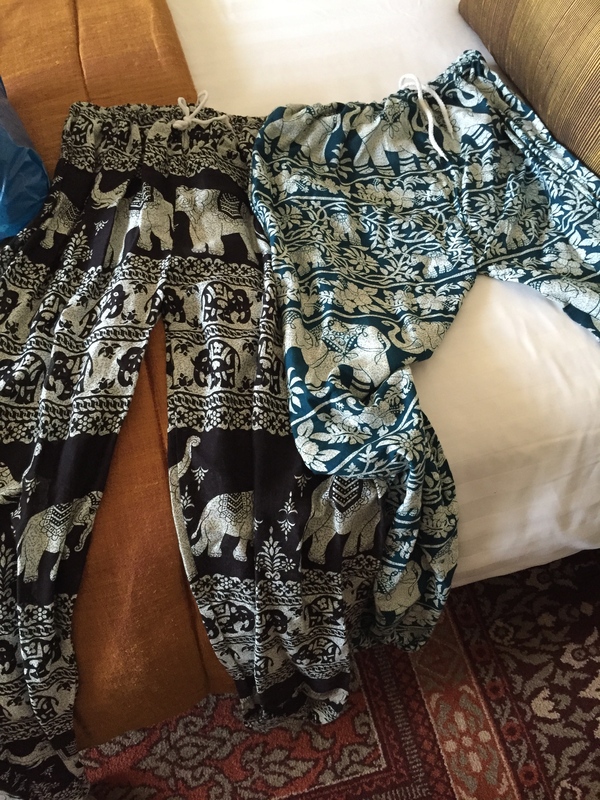 We bought some $3 elephant pants to bring back to our kids. We even had lunch at The Hard Rock Cafe Siem Reap. 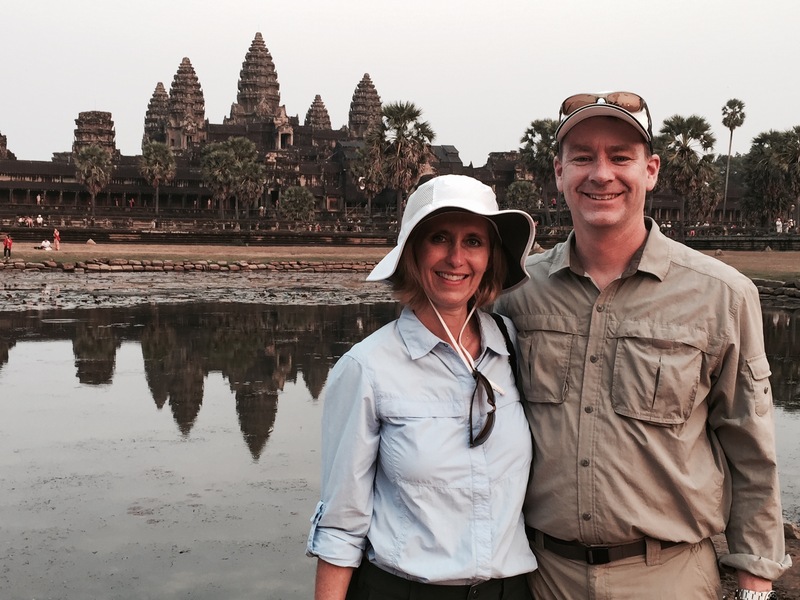 We had a great 2 days in Siem Reap. We felt we had just the right amount of time to see and do the things we really wanted to. Soon, we were off again…to Bangkok.